What was originally the entrance to the building for the horse-drawn carriages is today the entrance to the hotel and divides the most public part of the restaurant into two rooms. 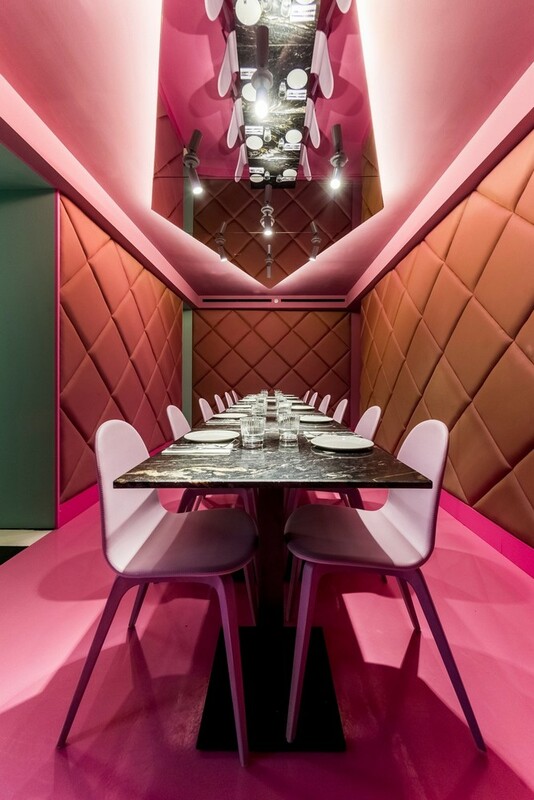 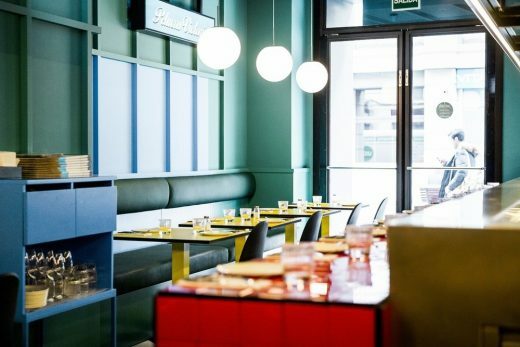 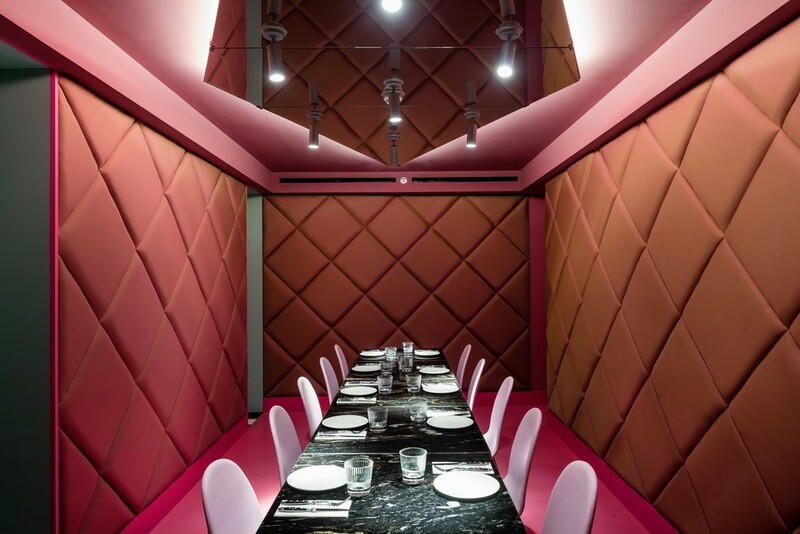 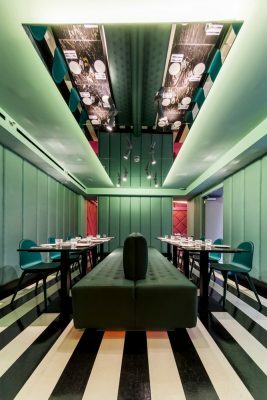 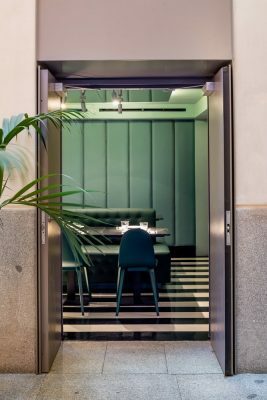 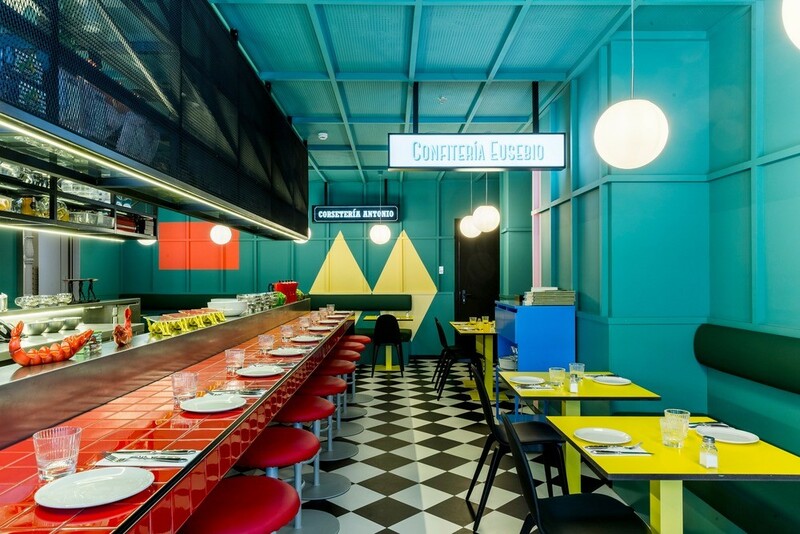 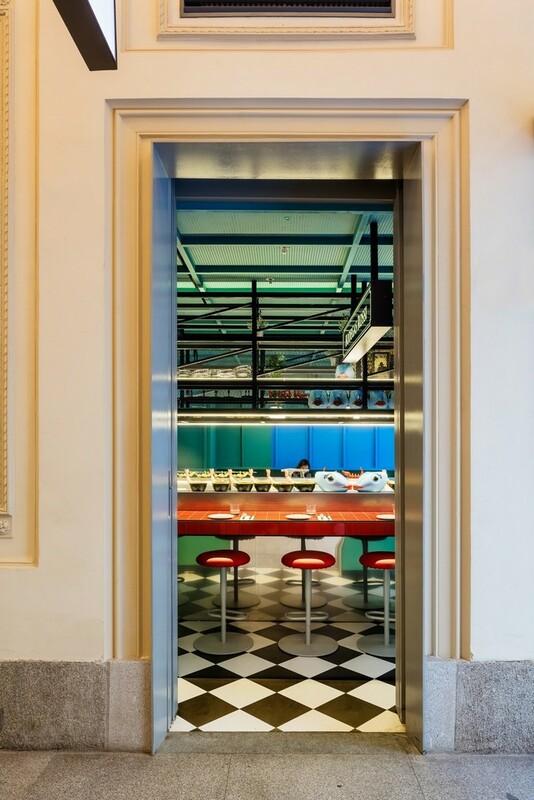 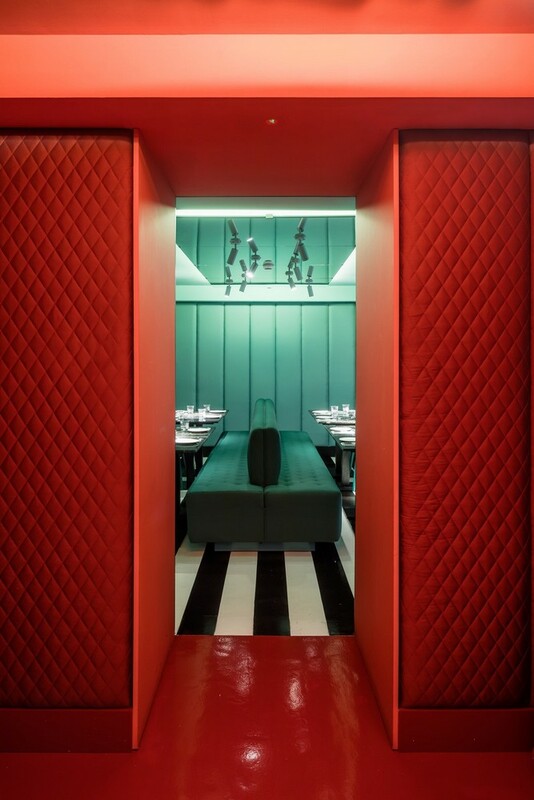 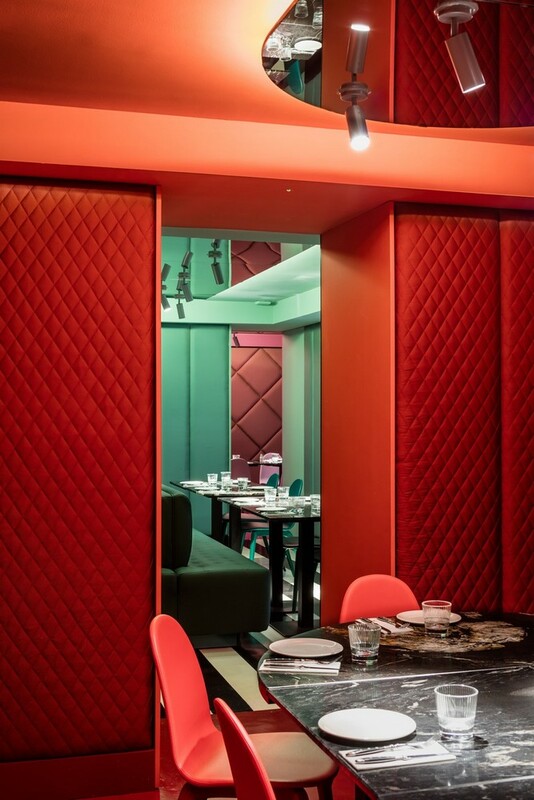 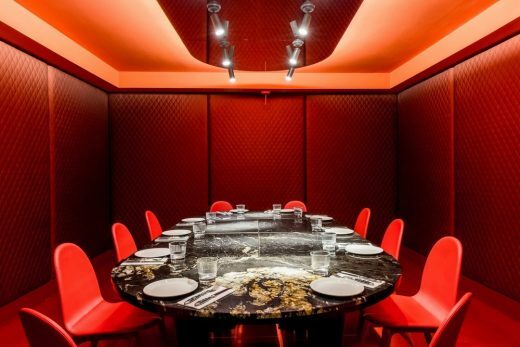 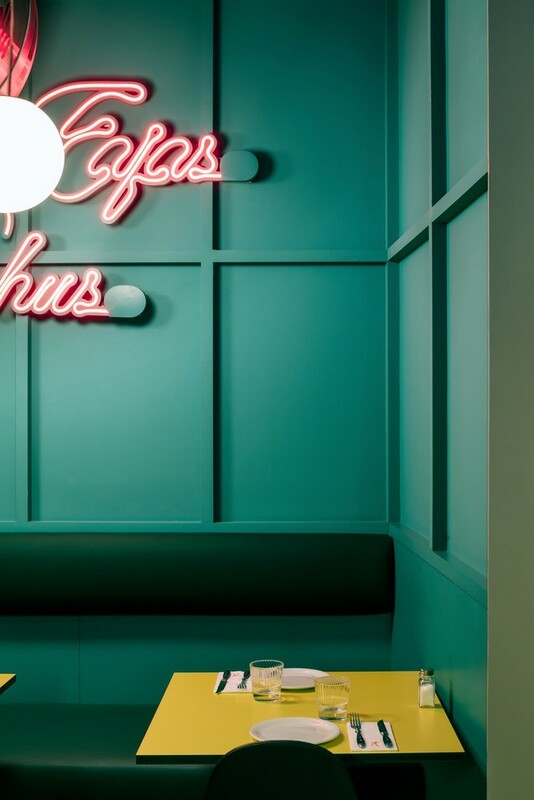 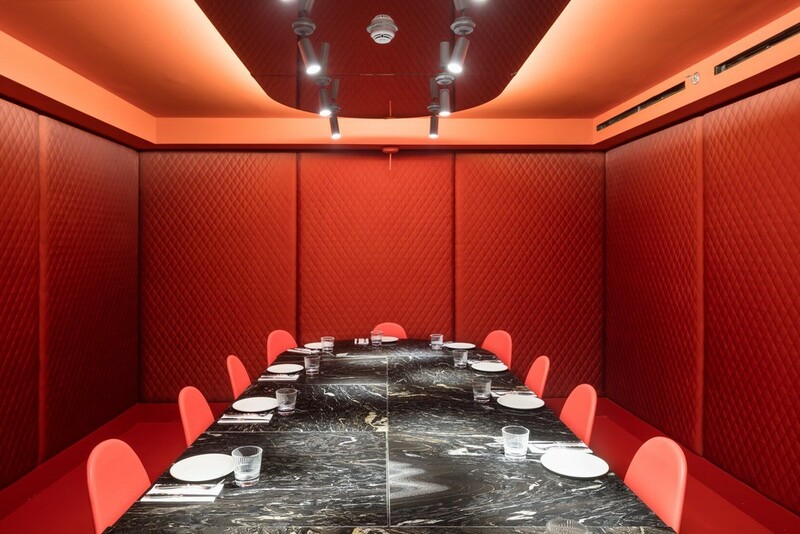 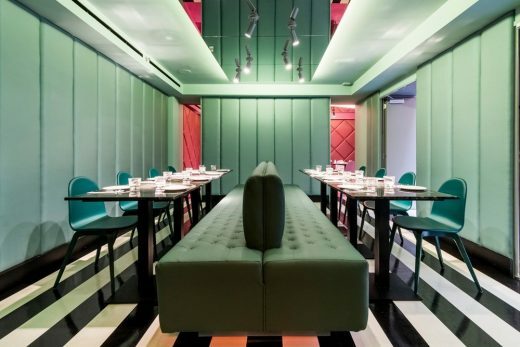 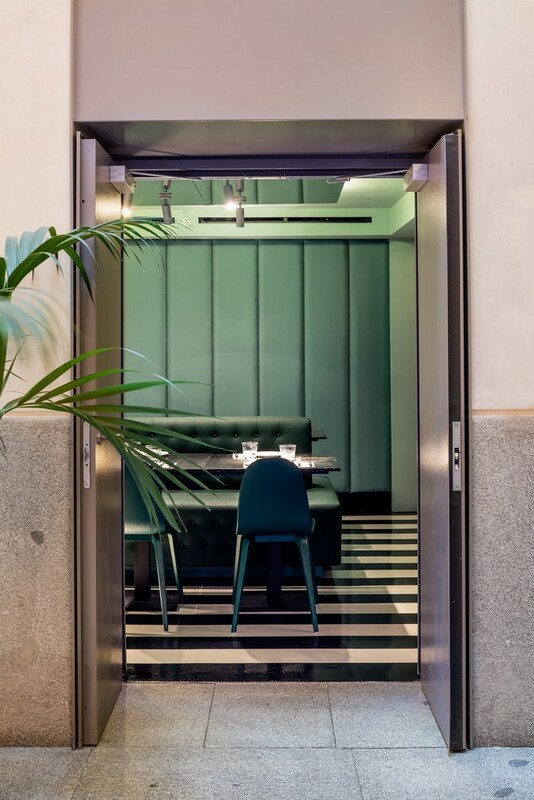 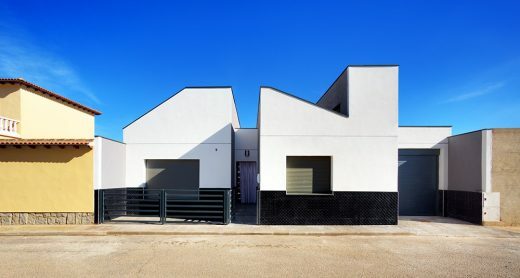 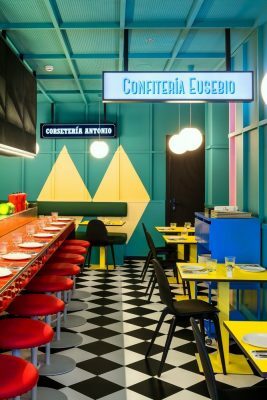 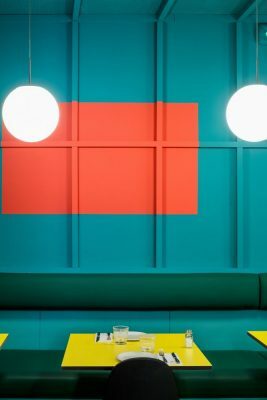 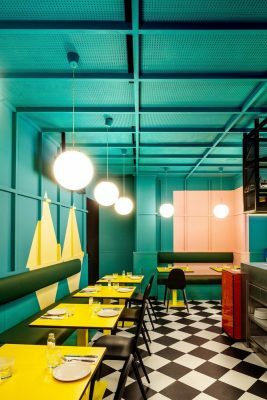 Both spaces are designed under the same concept: a carefree atmosphere with a distinctly colourful character employing large graphic elements of colour with references to the “Movida Madrileña” and the visual universe created by Almodovar, the well-known Spanish movie director. 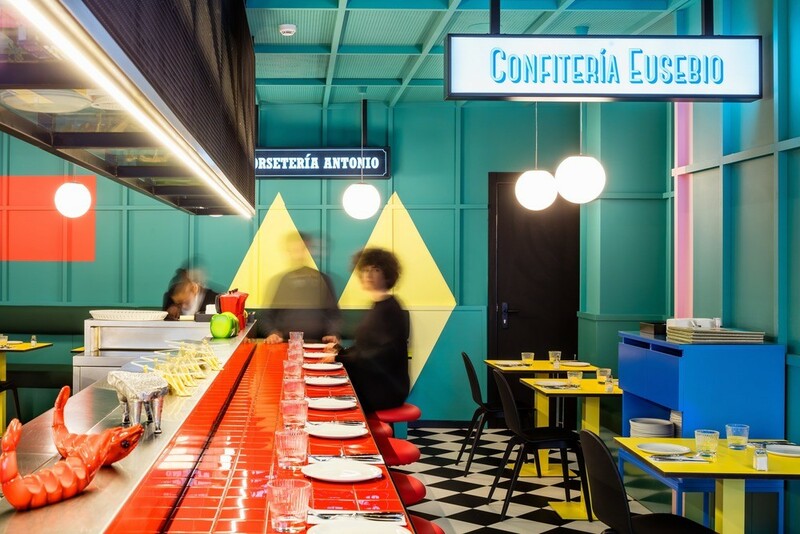 The name of the restaurant Las Chicas, Los Chicos y Los Maniquies Restaurant was precisely the title of one of the songs which accompanied the” Movida Madrileña” and whose lyrics are still part of our popular culture today.